State lawmakers killed a plan Thursday to create a state-backed banking system for the recreational marijuana market, meaning the industry must keep operating in cash for now. Most banks refuse to do business with marijuana growers, distributors and sellers because the drug is still illegal under federal law. Democratic Sen. Bob Hertzberg, who suggested the creation of the state-backed bank, said forcing operators to deal in large sums of cash can be dangerous. Hertzberg said he was surprised to see his plan held up Thursday in an Assembly committee, effectively stopping it for the year. The committee did not debate the proposal. State Treasurer John Chiang has launched two studies on the feasibility of California operating a state-backed marijuana bank. Meanwhile, a proposal in Congress would explicitly say that marijuana proceeds wouldn't be considered illegal in states where the drug has been legalized. Hertzberg's bill would have allowed the state to license and regulate "cannabis limited" charter banks and credit unions to deal with marijuana businesses. The banks would have provided limited services, such as accepting deposits and issuing checks for specified uses like paying state and local taxes. The bill didn't guarantee that such banks would be shielded from federal law. The California Cannabis Industry Association called the Legislature's move "disappointing." "We committed to partnering with the Legislature to identify solutions to addressing this very critical issue to our state and our industry," spokesman Josh Drayton said in a statement. 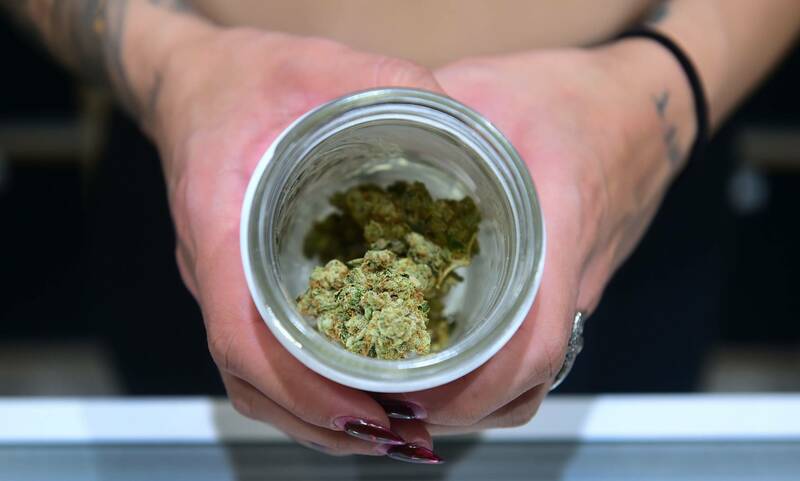 Tax proceeds from marijuana have been sluggish in California since the start of the year, with the black market still dominating much of the purchasing and selling of marijuana. The state's legal recreational pot market launched Jan. 1.